Alessandro Giuseppe Antonio Anastasio Volta (Italian: [alesˈsandro ˈvɔlta]; 18 February 1745 – 5 March 1827) was an Italian physicist, chemist, and a pioneer of electricity and power, who is credited as the inventor of the electrical battery and the discoverer of methane. He invented the Voltaic pile in 1799, and reported the results of his experiments in 1800 in a two-part letter to the President of the Royal Society. With this invention Volta proved that electricity could be generated chemically and debunked the prevalent theory that electricity was generated solely by living beings. 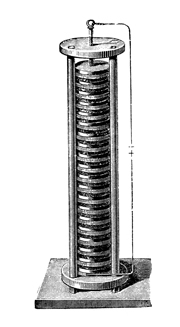 Volta's invention sparked a great amount of scientific excitement and led others to conduct similar experiments which eventually led to the development of the field of electrochemistry. 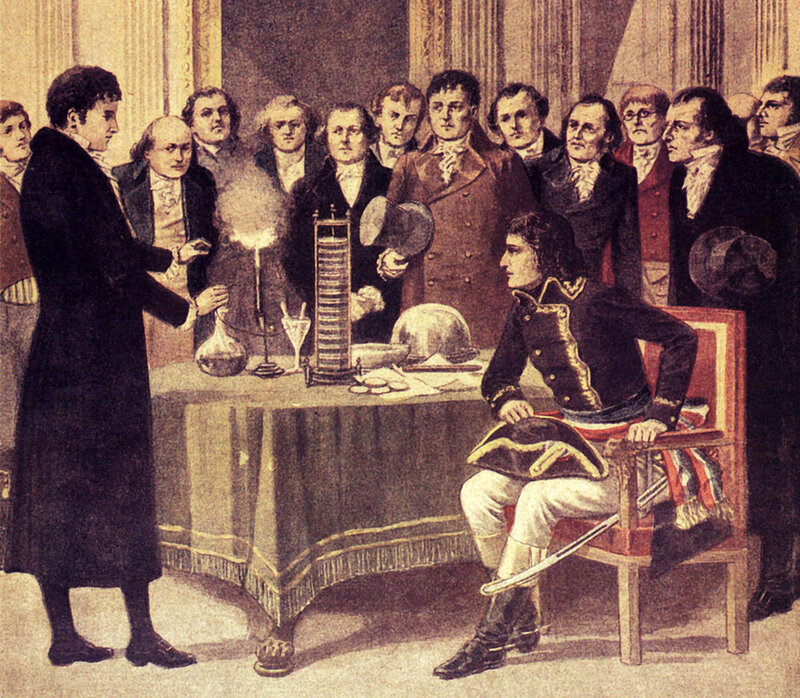 Alessandro Volta also drew admiration from Napoleon Bonaparte for his invention, and was invited to the Institute of France to demonstrate his invention to the members of the Institute. Volta enjoyed a certain amount of closeness with the Emperor throughout his life and he was conferred numerous honors by him. Alessandro Volta held the chair of experimental physics at the University of Pavia for nearly 40 years and was widely idolised by his students. The SI unit of electric potential, the volt, is named in his honor. esVolta develops, builds, finances and manages utility-scale energy storage projects in North America. esVolta professionals are experts in development, design, construction, financing and management of advanced energy storage projects.